Steve I'Anson holds the record for the Heaviest Bag of Fish - 51 lb 06 oz, in 1987. If anyone has further information please use the Contact Us form, thank you. This Trophy was first used for the Heaviest Fish in the WSAA Open in 1980. Checking records to ascertain what is was used for before this by WSAA, as there are names and dates from 1936 (listed below). 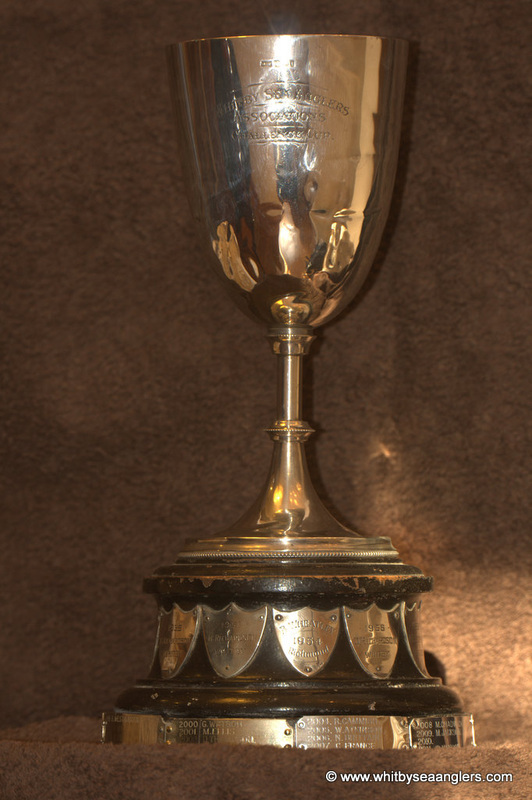 Whitby Townsmen's Association, Sea-Angling-Trophy, Whitby Sea Anglers Association. London Hallmark 1921. Click on photograph for link to see WSAA Trophies. Photograph by Peter Horbury 26/01/2013. 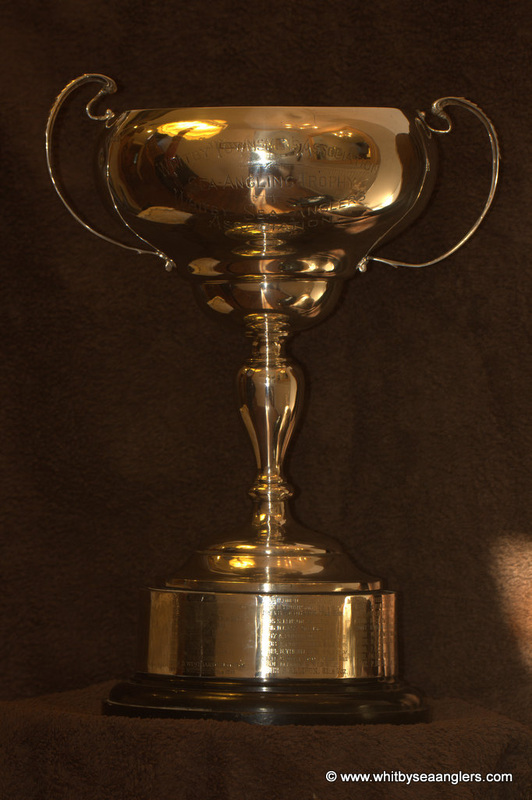 Whitby Sea Anglers Association Challenge Cup used for the Heaviest Fish in the Whitby Annual Open. Sheffield Hallmark 1901. Click on photograph for link to see WSAA Trophies. Photograph by Peter Horbury 26/01/2013.